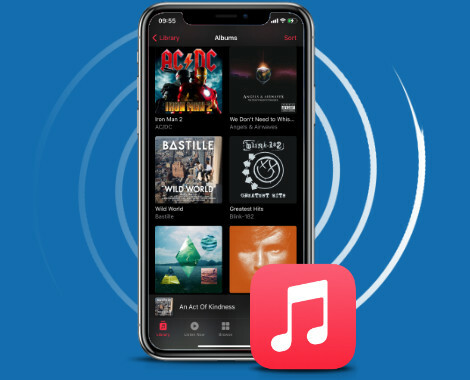 If you recently had to replace your computer or reinstalled your operating system, you may have encountered a certain problem when connecting your iPod, iPhone or iPad:- iTunes contains none of your music, playlists or videos and might even try to format your device! Luckily, TouchCopy can help you overcome this and can quickly and safely transfer all your music and video back to iTunes. Using TouchCopy will ensure that your iPod or iOS device data stays safe – TouchCopy will prevent iTunes from syncing your iPod, iPhone or iPad while it's running. With just a few mouse clicks and within minutes, you can get all your content back safely. 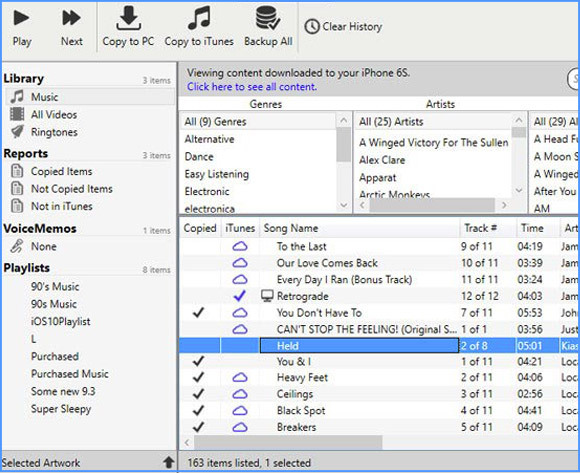 TouchCopy enables you to copy your iPod, iPhone and iPad music to your PC or Mac hard drive. You can even transfer your music, playlists and video straight to iTunes, including all your song data, your ratings, play counts and album art. TouchCopy will also transfer any other audio content on your iPod, iPhone or iPad like your Podcasts, Audiobooks and iPhone ringtones. If you like to keep a backup of all your audio and video content, TouchCopy can do this for you very easily too. At the touch of a button, you can back up your iPod, iPhone or iPad to your PC or Mac hard disk, external hard drive or into iTunes. Please see the TouchCopy User Guide for more information on transferring music from iPod to computer and how to get music from iPod to iTunes. TouchCopy works with all models of iPod, iPhone and iPad and it is a free trial download available for both Mac and PC.